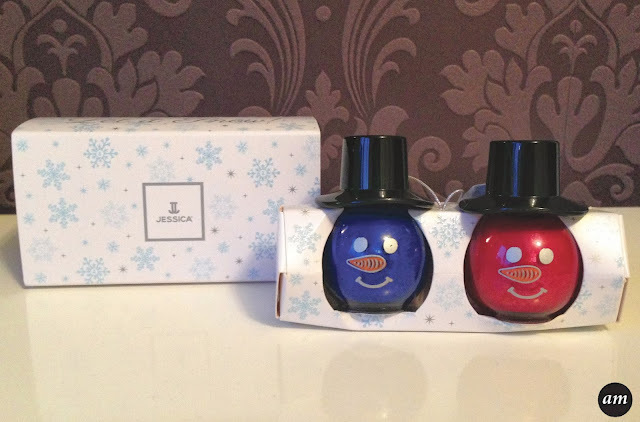 These Jessica Snowman Nail Polishes have to be the cutest nail polishes I have ever seen! I love everything about the design of this product. I love the hat shaped lids and how the two polishes slide nicely into the box without falling out. Normally nail polishes have weird names and sometimes names that don't even suit the polish, but "Candy Cane" and "Blue Years Eve" are perfect festive names. The polish itself is easy to apply and has a nice glossy, shimmery finish. 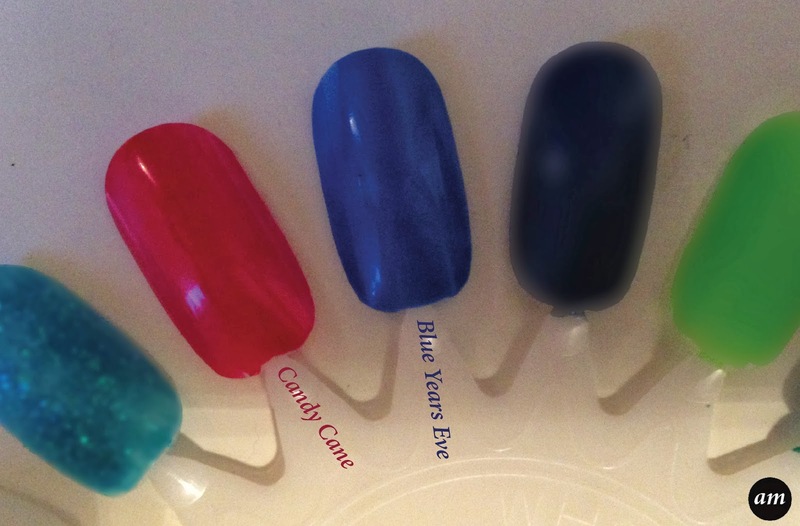 Your nail only needs two coats of polish for the colour to really pop. 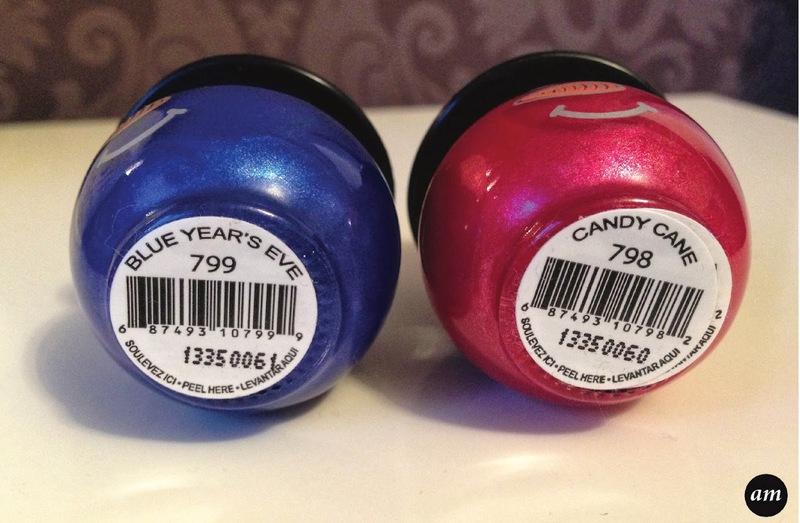 However like all nail polishes it chipped the same day. 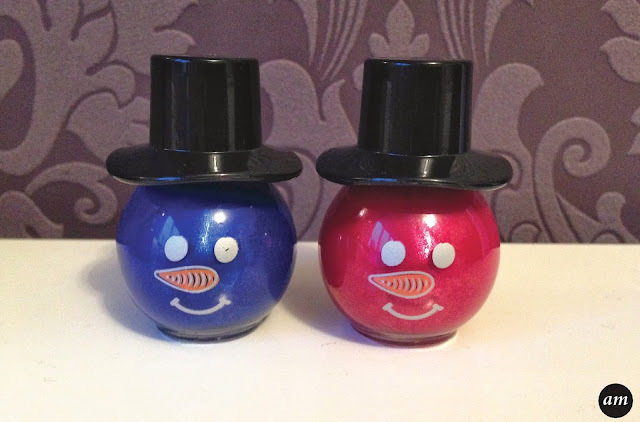 Overall I would recommend the Jessica Snowman Nail Polish Duo as it's a great little stocking filler. Why not grab a few to save for Christmas 2014? You can buy them from Look Fantastic for £12.95. Do you like the snowman design?